Running is an excellent form of cardio exercise that is among one of the top forms of exercise Australian’s like to partake in (1). However, the repetitive impacts between the foot and the ground and the resulting forces through the body, which can be up to 3 times your body weight, can lead to injury (2). In fact, among recreational runners the injury rate is 37-56% per year (3). The majority of injuries occur in the lower limb, with knee problems being the most prominent. Among these, 50-75% of running injuries are classified as overuse injuries (3). Injury prevention is important, as up to 90% of injuries necessitate a reduction in training, 70% require medical attention and 5% result in time off work (3). Common injuries include patellofemoral pain syndrome, iliotibial band syndrome, hamstring strains, Achilles tendonitis, plantar fasciitis and shin splints. An integral part of injury prevention includes strength and conditioning. Below we have compiled 5 exercises for our Fitness Keeper’s who like to run to include in their program! During running the hamstrings must work eccentrically (lengthening) to decelerate your leg as it swings through. Therefore eccentric hamstring strength is important for protecting runners’ against injury (4, 5). Moreover, an imbalance of strength between the muscles at the front of the thigh (quadriceps) and muscles at the back of the thigh (hamstrings) can contribute to injury risk (4, 5). This exercise can help to reduce this imbalance and thus injury risk by strengthening the hamstrings. 1.Start with your heels on top of a swiss ball with legs straight, place your arms out to the sides for balance and lift your hips. 2. Curl the ball in towards your hips, making sure not to bend at the hips. 3. Return to the start position slowly – try counting to 3! 4. Try to complete 3 sets of 8 to 12 reps.
Regression – Start with your knees bent, lift your hips and roll out. Lower your hips to the ground and roll the ball in to the start and repeat. Progression – Try one leg at a time! This drill teaches good running technique. In order to prevent injury your running style should include a mid-foot strike, good knee drive and back leg hip extension, all of which this exercise will help you to focus on. A common running technique fault is heel striking, where your heel is the first point of contact with the ground. A – skips will help retrain your body to strike the ground with your mid foot and therefore reduce risk of heel-strike related injuries of the knee, plantar fascia and tibia (6, 7). 1. 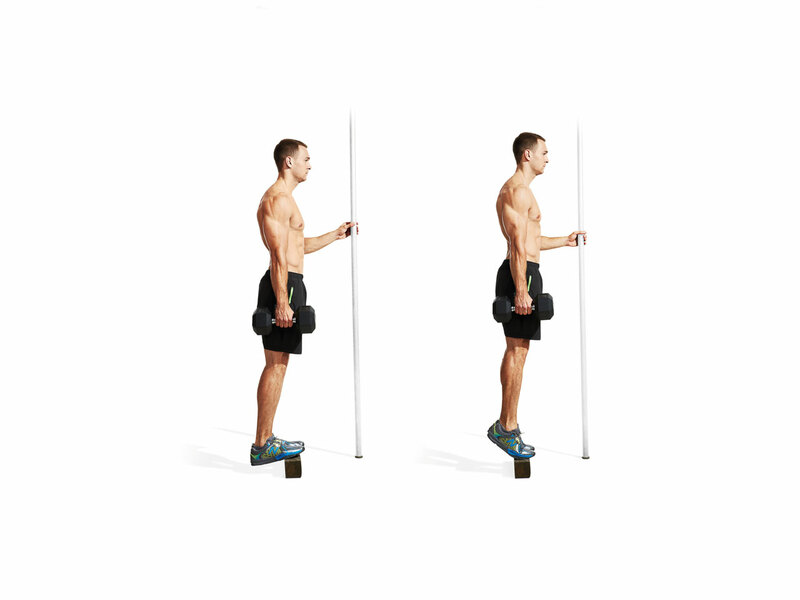 Start with one leg bent and lifted to hip height and opposite arm forward. 2. Begin skipping forward by forcefully striking the ground with your front foot. Ensure you are contacting the ground with your mid-foot. 3. There should also be a slight pawing motion upon hitting the ground to encourage hip extension. Strength asymmetry between the right and left sides of the body is another risk factor for injury (8). This exercise will help to develop unilateral strength of the quadriceps, hamstrings and glutes and therefore reduce asymmetry related potential for injury. Unilateral strength is also important for running safety as only one leg is taking the weight and force of the body at any one time. 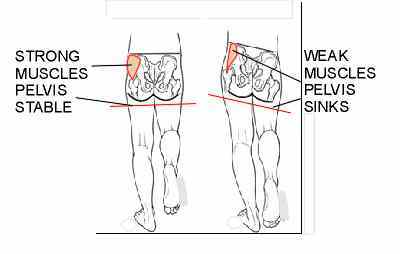 Additionally, single leg exercises strengthen the glute medius muscle and prevent Trendelenburg gait during running (hip drop, see picture) and related injuries. In fact for every 1 degree of hip drop there is an 80% increase in injury risk (7). 1. start sitting on a seat that is approximately knee height, lift one leg slightly off the ground and proceed to stand up. 2. Focus on keeping your hips level, so one side doesn’t lift/drop and your knee tracking over your toes (your knees shouldn’t knock together). 3. Lower yourself back down to the seated position slowly. This exercise is quite difficult so ensure you have mastered your squat first. Regression – You can also gently rest your other heel out in front for extra support until you build up the strength and control necessary. Progression – Lower the seat or grab a weight! The hip thrust exercise is a fantastic hip extension exercise that will help build strength and consequently power of the glutes which is essential during the push phase of running. Strengthening the glute muscles will help to reduce risk of ITB syndrome, lower back and knee pain (9, 10, 11). 1. Set up a bench and a barbell. If using a heavy weight you may need a barbell pad or a mat to put between the bar and your hip bones. 2. Sit on the ground in front of the bench with your upper back resting on the bench. Place the barbell across your hips, bend your knees to 90 degrees and place your feet hip width apart. 3. Begin by lifting your hips and leaning back onto the bench. Squeeze your glutes until your hips are fully extended then return to the start. 4. If you have a mini band, put that on just above the knees for extra glute medius activation. This exercise is great for overall core stability which is important for avoiding lower back and lower extremity injuries during impact (12, 13). Furthermore the act of lifting one leg also engages the glutes for extra benefit. 1. Start in a plank position on the forearms. 2. Keeping the knees straight lift one leg just off the ground then place back down. 3. Repeat on the other side and keep alternating. 4. Ensure you keep your hips parallel to the ground and that you do not arch the lower back. With correct running form the calf muscles, including the gastrocnemius and soleus, are responsible for absorbing some of the landing forces and propelling the body forward. Muscle weakness or fatiguability is linked with changes in technique and increased forces through joints that can lead to injury (14, 15). Building strength and endurance of these muscles will help to attenuate this risk. 1. Stand with the balls of your feet on a small step. If you need balance support make sure you are near a wall or pole. 2. Start by dropping your heels down until you feel a gentle stretch in the calves, then push up through the toes and raise your heels above parallel to the ground. 3. 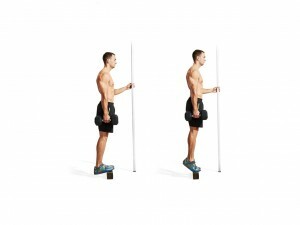 Make sure you are actively contracting your calves at the top of the movement. Regression – remove the step and just raise your heels off the ground and back. training. We hope you find these beneficial. Let us know! Keller TS, Weisberger AM, Ray JL, Hasan SS, Shiavi RG, Spengler DM. Relationship between vertical ground reaction force and speed during walking, slow jogging, and running. Clinical biomechanics. 1996 Jul 1;11(5):253-9. Van Mechelen W. Running injuries. Sports medicine. 1992 Nov 1;14(5):320-35. Orchard J, Marsden J, Lord S, Garlick D. Preseason hamstring muscle weakness associated with hamstring muscle injury in Australian footballers. The American Journal of Sports Medicine. 1997 Jan;25(1):81-5. Croisier JL, Forthomme B, Namurois MH, Vanderthommen M, Crielaard JM. Hamstring muscle strain recurrence and strength performance disorders. The American journal of sports medicine. 2002 Mar;30(2):199-203. Goss DL, Gross MT. A review of mechanics and injury trends among various running styles. NORTH CAROLINA UNIV AT CHAPEL HILL; 2012 Jan.
Knapik JJ, Bauman CL, Jones BH, Harris JM, Vaughan L. Preseason strength and flexibility imbalances associated with athletic injuries in female collegiate athletes. The American journal of sports medicine. 1991 Jan;19(1):76-81. Fredericson M, Cookingham CL, Chaudhari AM, Dowdell BC, Oestreicher N, Sahrmann SA. Hip abductor weakness in distance runners with iliotibial band syndrome. Clinical Journal of Sport Medicine. 2000 Jul 1;10(3):169-75.